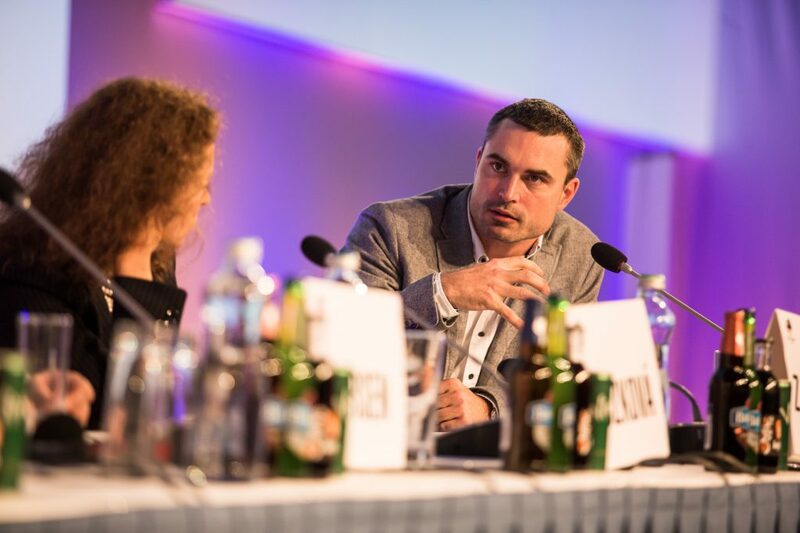 At the beginning of February, Dušan Zábrodský was one of the panellists of top-to-top panel discussion at Retail Summit 2016. Its main topic was “How to restore value in retail” and the discussion was focused on the importance of retail for the society, cooperation with manufacturers, and last but not least, on the Internet which can be perceived both as an opportunity and threat. Dušan Zábrodský byl začátkem února hostem top-to-top panelu na Retail Summitu 2016. Hlavní téma znělo “Jak obchodování vrátit hodnotu?”, diskuze se zaměřila na význam obchodu pro společnost, spolupráci s výrobci, a samozřejmě také na internet, který můžu být vnímán jako příležitost i jako hrozba. “The forecast for e-commerce in general is quite simple – it will grow very fast – no doubt about that. We in Rockaway believe in interconnecting offline and online world, thanks to which brand new services and products may develop to make the life of each of us simpler. It is not possible to see the Internet in terms of either threat or opportunity – it is no longer valid. the Internet has become a part of our daily life and that it just a fact. Members of Top-to-top panel were, besides Dušan Zábrodský, also Petra Buzková (Initiative for Fair Business – Iniciativa pro férový obchod), Drahomíra Mandíková (Plzeňský Prazdroj), Marta Nováková (Czech Confederation of Commerce and Tourism – SOCR ČR), Gabriel Csollár (COOP Jednota Slovensko), Espen B. Larsen (Penny Market) and Ivan Pilný (Chamber of Deputies, CR). The discussion for almost 1000 Retail Summit visitors was hosted by Martin Veselovský. Every year, the most successful retailers are awarded at Retail Summit. For the second time, CZC.cz from E-commerce Holding was awarded “MasterCard Electronics Retailer 2015“. “We are very honoured to receive this award. I believe that we got it especially thanks to our approach – we try to be as close as possible to our customers, to be their advisor and partner, ” said Jitka Dvořáková, CEO of CZC.cz.